(Sonni’s note: I posted this a year ago. One January 24, 2014. It is one of the first posts when I began this website. I wanted to post this again because it is almost a year later. Jamie was still in Solitary confinement when he wrote this letter. He writes about the cold and seeing snow. Yesterday in a phone call, which he wasn’t allowed to make a year ago, he told me that he has never been in real snow and he’d like to do that someday. There wasn’t much standing between and his sanity. Depression is one of the hardest things to face when you are by yourself. You think about every single thing you have done wrong in your life, over and over and over with no one to talk to. You feel those four walls closing in on you and it’s hard to imagine a life without them. He had no one, except for the letters from me, telling him that things would get better. He needed to keep fighting for that. It’s really cold. I think it maybe snowed but I can’t tell for sure because I can’t see out a window anymore. I never get any sun at all. 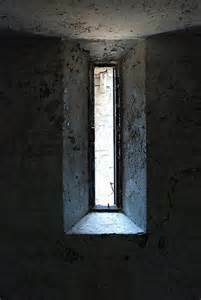 In my last cell there was a window and I could see outside. I would pretend I was out there. If you’ve never been locked up you wouldn’t know how it feels to have no control over anything you do. You can’t make anything change. There is so much space in my head. I try hard to fill it up with things but sooner or later I give up and go to sleep. Some years back, before you got sick , you wrote and told me to imagine we were outside riding bikes and we would ride to the top of a hill, meet there, and have a picnic. We could do that together at the same time. It would be a way for me to escape. It was really the first time I talked about how powerful the mind is and how important it is to have hope. You told me over and over how important my life is. I don’t understand what you saw in me, but I’m glad you did. It’s like my family washed their hands of me. It wasn’t important to let me know they still loved me. It was like I died or something. You kept me from disappearing or at the least become like so many people in here who have no hope. This place has a way of making you feel really small and you took hold of me and taught me how to keep it together. I’ve been thinking about my son a lot. I was so happy to see him in October when Megan came. I wanted to see him so bad. He’s all I have. He’s the only thing I have that makes life worth living. He’s the only real thing that proves I lived. I don’t think Megan really understands how important he is to me. The thought of him keeps me trying. I didn’t want to feel sure Megan would really bring him to see me. I didn’t even know for sure if they were coming. You told me she was trying to make sure she would make it. Megan kept saying she would but something always got in the way. Really, I about gave up because the disappointment was too hard to bear. She said she’d come before and then couldn’t. But this time, when the officer came to my cell and told me I had visitors, well all I can say is that this big feeling of happiness came over me and I smiled so big. I was finally going to see Megan and my son. She had her two other sons with her, Alex and Cosmo ( short for Benjamin). Before that day, it was hard knowing he was out there and I couldn’t see him. I wondered if he was going to be angry with me when he grew up for not being there. Maybe he would be ashamed for anyone to know his dad was in prison. I’m so sorry I can’t be there for him right now. I know I can’t expect Megan to stay by herself till I get out. She’ll have another man in her life but it would rip me up if my son called some other man dad. Or if some man tried to come between me and my son. I’m missing all of these years with him I can never get back. When I saw him he was really shy. It was hard to get him to talk to me. I can’t blame him for that. He was probably scared. He was hardly more than a baby the last time he saw me. I want so badly to be able to give him a hug and tell him how much I love him. More than anything he is the one thing in my life that gives me the reason to want to get out of here and have a good life. I want to be a good father. Having him is the only thing I have done right. He’s the only good thing I have. Megan doesn’t write to me very often. I’ve begged her to so many times. think she would if she really wanted to. Instead of telling me the truth she gives me all of these excuses like she wrote a bunch of letters but her boyfriend or whoever found them and threw them away every single time she wrote one. It was one excuse after the other. I think if someone wanted to write a letter they would find a way to get it into the mailbox without getting caught. She shouldn’t need to sneak. Nothing anyone can do will make me not exist. I will always be his father. She should be able to write a letter and tell me about my boy without getting into trouble. So that doesn’t make sense. Why doesn’t hardly send me any pictures? Sometimes I get out all the pictures I have and I go over them one by one and think of all the memories I have. I just stare at them and make them part of my day and pretend I am in the picture instead of being here. Previous Article The Prison Laundry. My New Job!